A new wave of wine bars is creating a buzz for viniculture just as craft breweries did for beer. The cool crowds are becoming discerning drinkers, lured by so-called ‘natural’ wines and grapes from far-flung vineyards created by a new wave of winemaker. These places are about convivial gathering in the spirt of affable wine-drinking – a world away from the ‘buy a glass get the bottle free’ world of cheap and nasty pinot grigio. This new wave of wine-drinking is happening in small towns and big cities, especially as technology helps make it easier for bar owners to keep their wines at optimum quality once a bottle is opened. 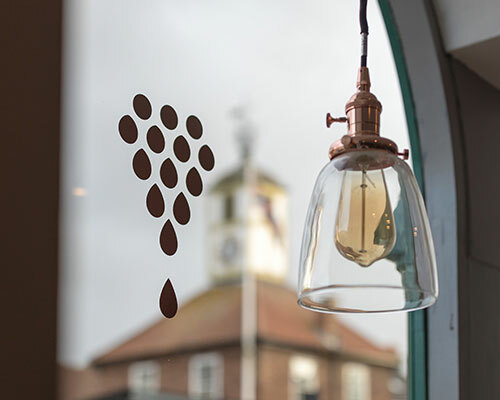 In Yarm high street, the newly-opened Fourteen Drops is run by sommelier Fiona McLain whose partner Andrea Asciamprener has worked in the wine trade for 15 years. Fourteen Drops encourages customers to try carefully-chosen wines, buy them off the shelf then enjoy them in the bar’s relaxed space for a corkage fee. This concept of the ‘enoteca’ – a wine taste and buy destination – is also practised by wine-lovers Mo O’Toole and Claire Carruthers at their Carruthers & Kent deli and wine shop in Gosforth. Says Mo: “‘Enoteca’ is Italian from the Greek word meaning Wine Repository. It is the essence of the convivial small, independent shop that invites customers to taste wines at a reasonable prices. It was the Pitti Gola in Florence that inspired Claire and Mo to create Carruthers & Kent. Bars like C&K and Fourteen Drops offer a regular changing wine menu as well as wine flights of three specially selected wines. Fiona McLain says: “We know people tend to stick to wines they like because it is a gamble to try something if they’re unsure how it will taste. Fiona, 30, has been in the wine trade for a number of years a sommelier at Rockliffe Hall near Darlington and Michelin-starred House of Tides in Newcastle. She has achieved WSET wine education qualifications. The couple hope to offer customers wines from smaller producers as well as one-off vintages bought at auction. “An example is a 1982 Sassicia which is known as a ‘super-Tuscan’. Fiona hopes that as an authentic wine bar, the concept of Fourteen Drops will appeal to genuine wine enthusiasts. “It pays to drink better, but we realise that people can be scared of paying for a wine they are unsure of. So, we are trying to allow them to access new, exciting and delicious wines that they can enjoy it and learn more about it. We also want to champion smaller producers and support ethical wineries. “We will draw on wines from across Europe with snacking plates of European meats and cheeses, encouraging the very relaxed continental idea of slow, lingering and sociable enjoyment of wine and good company”, adds Fiona. In Newcastle city centre, Cedric Boc-Ho and Catherine Metcalfe bring the plasures of French wine to their relaxed wine bar and bistro The French Quarter. The couple moved to the North East from France aiming to challenge perceptions that French dining is formal and fussy. So you can try new wines, shop from the deli and share Cedric and Catherine’s love of all things French. Cedric is originally from the Loire Valley in France and has a natural curiosity for food and wine; Catherine is originally from Northumberland and after setting off on a ski season in 2010, she met Cedric and adopted a real passion for the place, the food and the overall experience. Cedric has a natural curiosity for food and wine which he has followed throughout his 12 years working in hospitality and whilst studying to obtain his MBA in hospitality management and WSET awards in wines and spirits. “I couldn’t agree more with this idea”, he says. “From a young age alcohol was never a taboo but more something very communa; and approchable. In France you drink wine pretty much every day but a very small amount of it. He fears France’s big wine regions are getting too expensive, even for ‘not-so-good’ wine they produce. “My favorite région is the Languedoc where you find very exciting producers and all sorts of grapes grown there. Cedric is a big fan of the natural wines and the movement and to respect a wine area’s ‘terroir’. New ways of keeping wine fresh mean here’s now more opportunity for customers to ‘try before they buy’ – just as you would try a spritz of perfume before buying the whole bottle. “I am very excited to see that the industry is moving forward and that finally we see different ways of selling wine than in the original wine bottle. Cedric’s passion for fine food and wine has turned him into a bit of a collector. In the last 10 years he has carefully peeled wine labels off each extra special bottle of wine he has tried, he has photographed every unique French dish he has eaten and saved each empty can after a particularly good beer. 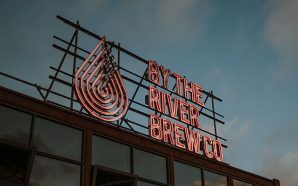 As delicious as his life of tasting has been, all of this has been done with one thing in mind, to one day open a place where all of these great products can be shared with others, all under one roof. Enoteca is a wine-lover paradise hidden behind and beneath granite walls in the city’s old town. Run by the fabulous Vittoria group which excels in all things foodie and Italian in the Scottish capital, Enoteca offers more than 30 wines by the glass from an Enomatic dispenser – and one of the best wine lists in the city. Loki wine lounge sits in a beautiful Edwardian arcade in the characterful Cathedral quarter of the city. The most awarded wine merchant in Birmingham, you can try 40 wines by-the-glass from a range of over 600 wines from boutique or rare producers which can be bought an opened on the premises. The wine lounge provides an area to chill out in and enjoy meat and cheese platters. How about Vinoteca whilst you’re waiting to get the train back north or to mark your arrival in the capital? Vinoteca Kings Cross. A London original and one of the first to offer top wines in relaxed and informal surroundings. Vinoteca offers up an ever-changing selection of 25 wines by the glass and updates its list of over 200 wines twice a year. Deliciously drinkable wines paired with wholesome food or continental platters. Over in North Yorkshire, the seemingly sleepy town of Leyburn is home to a fabuous little wine club within the Campbell’s food store. Campbell’s Wine Club started off as a tasting event but became so popular they created Upstairs at Campbell’s – a permanent base created for the Wine Club in a purpose-designed lounge area within the vast Wine Department. It offers regular tasting sessions, talks by wine experts and growers and virtual tours of the world’s wine growing regions, attracting members from all over the North and further afield. Events now take place almost every fortnight in the events area against the backdrop of shelf after shelf of wines from round the world. Spirits and food also feature in increasingly diverse and ambitious programmes. Membership is free and members are entitled to a 5% discount and also benefit from regular special offers. There’s a buzz around natural wines at the moment. Natural wines are made by small, artisanal winemakers – in vogue in the same way small food producers currently are. The wines produced accurately reflect the growing conditions of that particular year rather than a wine maker intervening to create a particular Hence, wines taste fresher and more individual – but they are less predictable. Skin-contact wine, amber wine, or orange wine is a type of wine made from white wine grapes where the grape skins are not removed,and stay in contact with the juice for days or even months.